General purpose of this lecture is to presentation on Information System Analysis and Design. 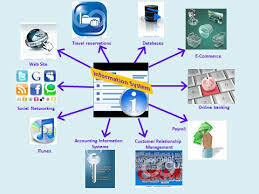 Information System is an arrangement of people, information, processes, information presentation, and information technology that interact to back up and improve day-to-day procedures in a business as well as support the problem-solving and decision-making needs of managing and users. And Systems analysis is the study of a company problem domain in order to recommend improvements and specify the organization requirements for the perfect solution. Systems design may be the specification or construction of any technical, computer based solution to the business requirements identified inside a systems analysis.